9 week 1.2 BUILD program. Build 1.2, is the second block of the building that is part of our 1.0 series. This 9 week is focusing on driving up power intensively with max aerobic, intensive and extensive threshold. Our B level requires a time commitment of 5-8 hours of training. The difficulty of this program is moderate and requires you to ride 4x per week with the option for strength. 1) Two 4 week training blocks set up to be completed using feel, heart rate or power. 6) Discounted additional coaching consults as needed along the way. This test ride should take a bout 1 hour. Make sure to perform a solid warm up before you begin. Take as much time as needed so you are ready to perform at max effort. - 10/15 minutes endurance/tempo pace. Add in 3-4 x 1 minute high cadence efforts RPM 95 or higher. - Finish with 10 minutes adding in 4-5 x 10 second accelerations. Between each testing effort make sure you recover fully. Do no start out to quickly and fade as you near the end. Pick a location you can ride unbroken for 25-30 minutes. This needs to be a solid hard effort. You want to make sure you have fresh batteries. Make sure all your data is recorded or do not perform this WKO until it is. Testing today will be explosive efforts. Make sure to pick a safe area and this test needs to be performed outside. These test are all under 1 minutes. Lots of short explosive efforts. Take your time working thru these. - Perform a solid 20 minute warm up or more. - Notes: Add in high cadences to open up legs. Take longer as needed. - You will ride a period of 45-60 minutes at hard tempo(sweet spot). If you are killing it push out to 75 minutes MAX. - Terrain: your choice but something you can keep effort constant. This WKO is designed to drive your threshold values upward through intensity. Th key is to stay within range of 105-110% for the target duration. DO NOT go over and fade but hold the power consistent. - 15/25 minutes build HR up over the course of warm up (progressive). Add in 4 x 1 minute high cadence efforts to open up legs for intensive workout. - 4/5 sets of max aerobic with a target duration of 4.5 minutes. - Duration: Goal is 4.5 minutes but the range is 3.5 minutes up to 4.5 minutes. So, you may need to adjust duration to meet intensity demands. - KEY: As much time at 105-110% as possible during each set and overall workout. As you fatigue if you need to cut duration do so but no lower than 3.5 minutes. Also, increase recovery time as needed. - Recovery: Very easy spin for 5-8 minutes, take full recovery. - Easy easy in small ring. This WKO is targeting the intensive side of threshold. The efforts are relatively short but looking to target 105% of threshold eventually. Today you will perform 3-4 sets at 95-100%. - 3/4 sets with focus on intensive threshold efforts. - Duration: Goal is 12 minutes, really try to stick to target. - KEY: You want as much time at 100% of threshold as possible. THESE are not all out efforts but targeted to 95-100% of threshold. - Recovery: Very easy spin for 3-5 minutes, take full recovery. This 8 week plan is stressing intensity so we need to have a non-stress ride. This can be a social group ride, solo ride or somewhat of a throw down short group efforts. You have some options with this day. 1) Solo Ride: I want you to jut ride based on duration. This can be your favorite loop, new roads or even off road. Do not watch HR or Power or Speed. Just ride to ride, go slow when you want and harder if you feel like it. 3) Intensive Group Ride: If you have a harder group ride you want to do this is the day. You can swap your weekend around as needed. But keep this ride to no more than 60-90 minutes of hammering. The rest needs to be easier WU/CD type pace. We want to keep a non-structured ride in the loop for the this period of your training. Focused on endurance driven sports coaching. 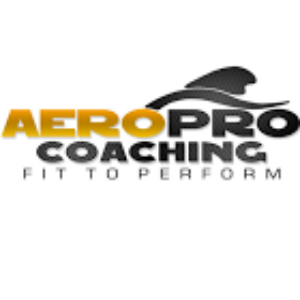 Aeropro Coaching has the experience, technology and knowledge to work with any type of endurance athlete. We take a technology driven approach and break it down to the athlete level for anyone to understand. Our biggest asset is our ability to get athletes to do things they did not think was possible. We offer package plans up to Elite 1-on-1 coaching.